The Specialized Cascade II MTN is a fine bottle cage. Holds the bottle securely: releases it easily. Takes plastic and metal bottles. I (the Bike Co-op's Ged) was once scepical about the longevity of a plastic cage. 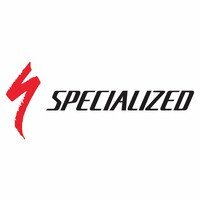 Then having owned a first generation Specialized Composite Cage for more than 10 years, I'm convinced they're a good thing. This new Cascade II cage with its horseshoe shape is way better looking than Specialized's original composite Mountain Cage. Initial trials make us confident it will work just as well and will last as long as the original. Unlike similar priced alloy cages, it has kept its shape. The Specialized Cascade II MTN Composite Cage holds the bottle securely, yet releases it easily. It takes near any bottle, large or small, metal or plastic. It won't scratch a metal bottle like a metal cage can.